How many times has this happened to you in your travels? You arrive at an exquisite location — quiet and beautifully maintained. The facilities and recreational opportunities are top-notch. And everyone there shares a love for the place. You just feel good being there. Naturally, you want to stay. Until a decade or so ago, you could only feel this way at vacation resorts, tropical retreats, country clubs, and unique destinations. But now, builders are creating the resort and country club lifestyle you love in communities right here in the metro area. 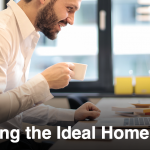 Homes and communities like these are being created today specifically for active adults, that fast-growing demographic of Baby Boomers who are the largest-ever single age group to hit demographic charts. Just past 50, active adults tend to be healthier, wealthier, and more educated than any previous generation. Active adult-designed homes and amenities offer a full range of experiences, and locations near theaters, shopping, restaurants and the action of Washington, DC, and the Mid-Atlantic region. Some are gated with 24-hour security — offering additional peace of mind for singles and frequent travelers. Since friends are now almost as important as families, communities foster a strong social structure, with clubhouses, public areas, regular events and pedestrian-friendly living. 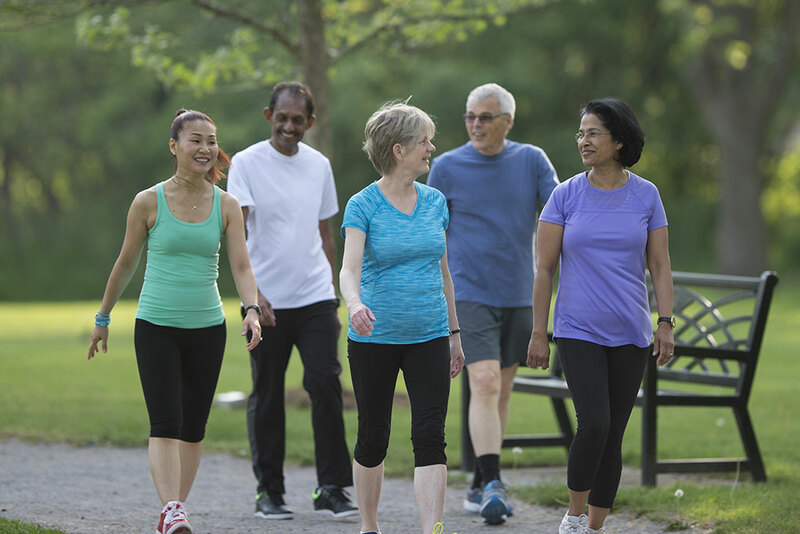 Active adults may be empty nesters free of strollers and tricycles, but they may also form Harley-Davidson clubs, marathon-running groups and Tai Chi classes. Homes can be single-family detached, attached, or villa-style condos. They can be in mid- or high-rise buildings, too, or in neighborhoods within larger planned communities. But all are dedicated to spoiling residents big time. Floorplans are usually one-story, with some two-story designs offering bonus space for a spare bedroom and bath, hobby/recreation room, or extra storage. 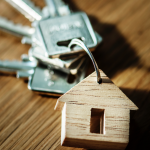 Buyers will spend on luxury and upgrades, and dual master suites, covered patios and porches, great rooms and granite countertops are commonly built in. Active adults also stay busy lowering their golf handicaps and improving their tennis games. 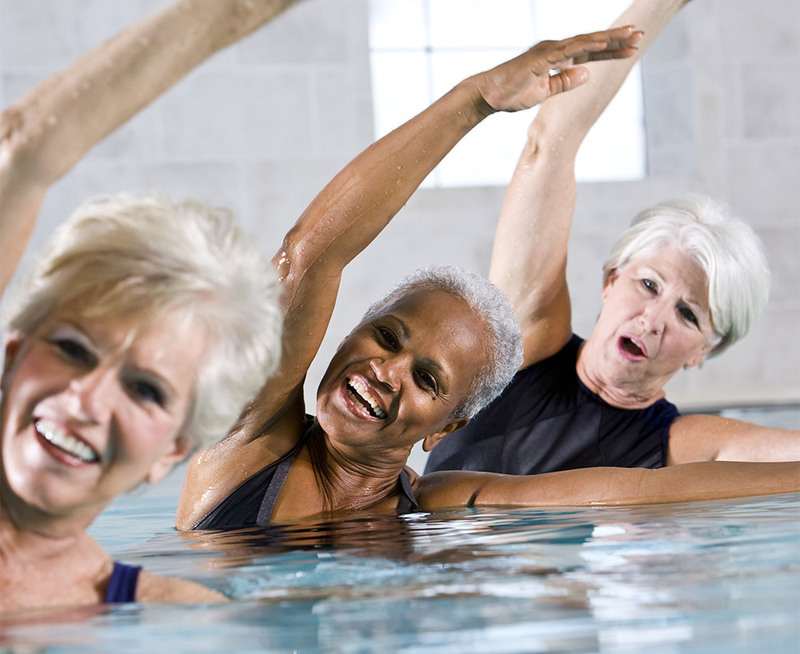 In fact, they’re more vital, physically fit and wellness conscious than any other age. That’s why communities deliver amenities you would find at a country club, such as golf, tennis, basketball courts and pools. Developers know buyers also want low maintenance, with none of the endless household chores. Services for residents can include concierge, dry cleaning, handymen, lawn care and snow removal. It’s all covered under monthly homeowner fees. Clubhouses are important as a center of community activity. They can come with meeting rooms, pottery studios, bocce courts, pool tables and computer labs. Open-air pavilions are great for three-season parties. Fitness centers offer aerobics and dance studios, paddle-tennis, workout equipment, pools with lap lanes, and spas. Biker/hiker paths are often built into communities. 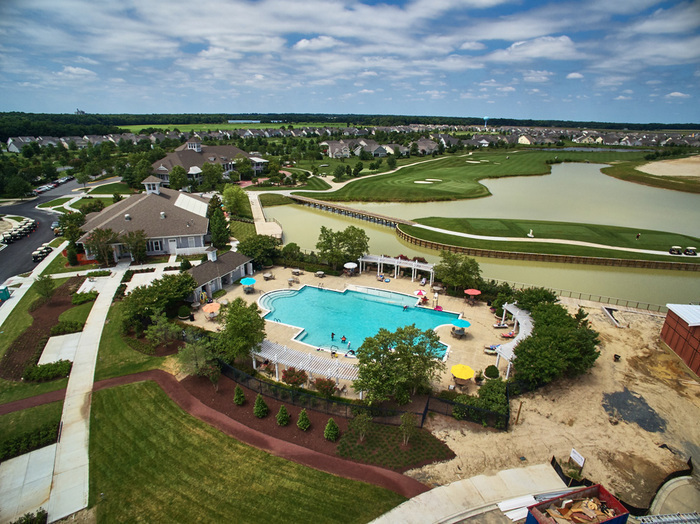 These communities have all the amenities a resort has to offer without having to travel, pay for a country club or health club, or take care of your own pool. There are a number of communities to choose from right here in the area, in delightful locations near water, green spaces, entertainment possibilities — and your friends and family. Plus, now you have the luxury of some time on your hands, to have fun, volunteer, travel and make new friends. These communities give you every opportunity. Active adults have been working hard and raising children for several decades, and now they are rewarding themselves with travel and recreation. They have a lot of living left to do. 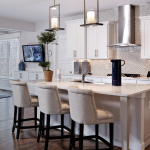 Today, they can do it in a community with the feel of a luxury resort, close to the culture, convenience and fun of the entire Washington metro area and Mid-Atlantic region. This story originally appeared in the May/June 2017 issue of New Homes Guide. 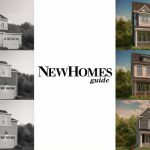 Reserve your free copy of New Homes Guide today for additional stories, community spotlights, advice and more.